Jet Airways is saddled with more than $1.2 billion of debt and it has had to ground more than 80 per cent of its fleet over unpaid dues to leasing companies. 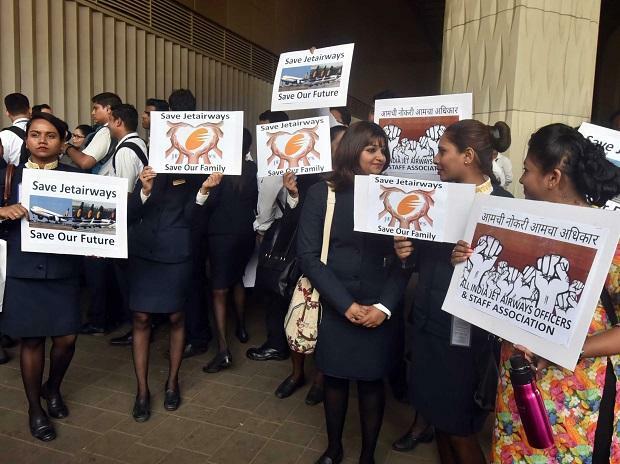 Jet Airways employees protest outside the airlines' office in Mumbai on April 12, 2019. Photo: Kamlesh Pednekar.